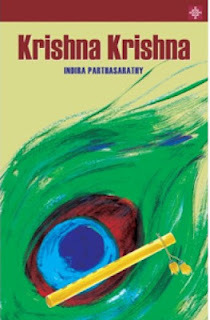 ‘Krishna Krishna’ by Indira Parthasarathy is the story of Lord Krishna narrated by sage Naradha, as told to him by Jara, the slayer of the lord. I am a great fan of the Mahabaratha and related stories. It has so much scope for retelling and interpretations and has an everlasting freshness that can never fade with time. I started reading this book yesterday and it is proving to be as enchanting a read as the divine blue cowherd boy himself J . I shall get back with a review once I read and internalize it. 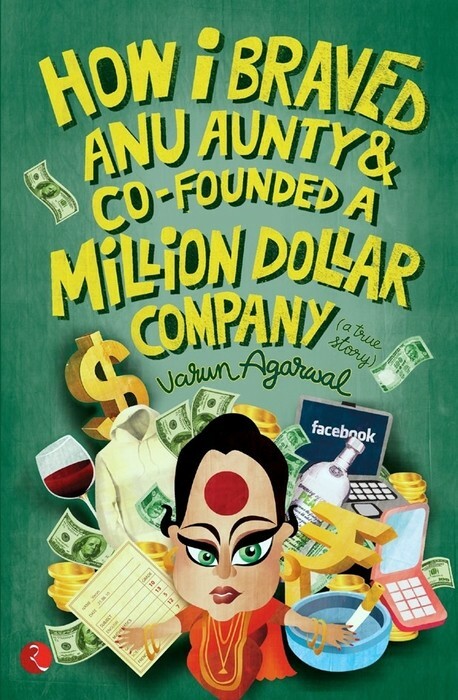 ‘How I braved Anu Aunty and co-founded a million dollar company’ is by debutant author Varun Agarwal. It is the story of how Varun, a twenty something engineering graduate, overcame all the social taboos and expectations imposed by family and society to start his dream company. 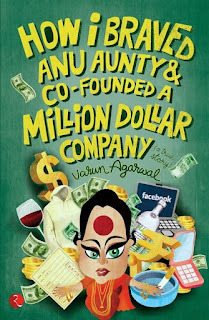 The formidable Anu aunty is a neighbour who plays along with Varun’s mom to try and ‘drag him back to his senses’ and make him take up a job J We all have these Anu aunties in our own lives in various forms, don’t we? J And stories of people who fight the tide and achieve their dreams are always heartening and inspiring. That’s what drew me to this book. I think it would be a reinforcement for everyone to listen to their heart and follow it. Am yet to get this book in hand. More on it once I read. And living in the internet age with a boon called Flipkart, the purchase was just a few clicks away. Now, I have to tell you how pleasurable it is to shop at Flipkart. They have all kinds of products but I usually purchase books with them. Abundant choice, ready to read reviews and fabulous discounts! And they always exceed expectations, promising to deliver within 2-3 working days but doing it the next day itself most of the time! Words cannot describe the joy that sweeps through me when I get them delivered at my workplace. The day after I place the order, I would keep checking my mobile, waiting for that call from an unknown number to listen to ‘Madam, calling from flipkart, am at the entrance, can you please come out to collect your books’? Anyone who sees me immediately after this much awaited call would wonder what’s gone wrong, looking at my facial expression and demeanor .For, how would you look if you wanted to skip and jump with joy past the bay and security guard at the reception to reach the door but can’t do it for propriety demanded by place and time? With all these emotions kept in restraint, I would calmly walk to the door and receive my consignment. Once back at my desk, my peer group and I would open the carefully wrapped books. After spending the next 5 or 10 minutes browsing through them and enjoying the feel that only a newly purchased book can give, it’s a huge effort to turn back to the monitorL. And once back home, it would probably take a natural disaster to tear me away from it when I settle down to read. 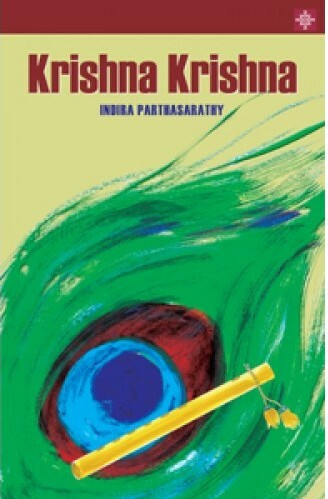 wow, both the books seem very interesting..Krishna as a character never fails to charm me. The second one also promises to be a breezy read with some good humour (hopefully). Will wait for your review on that too. And yes, the steaming cup of tea does complete the perfect picture! Do post in the reviews soon :) I need some good recommendations for books!